I am going to let you in on a little secret: I think this is a really fun part of the figure skating calendar. All of the main events are done, and the world championships are still far enough away on the horizon that it gives me time to think about podium possibilities. There is a lot of Canadian talent on skating rinks preparing for the world championships in Saitama, Japan, which CBC Sports will begin streaming on March 19. 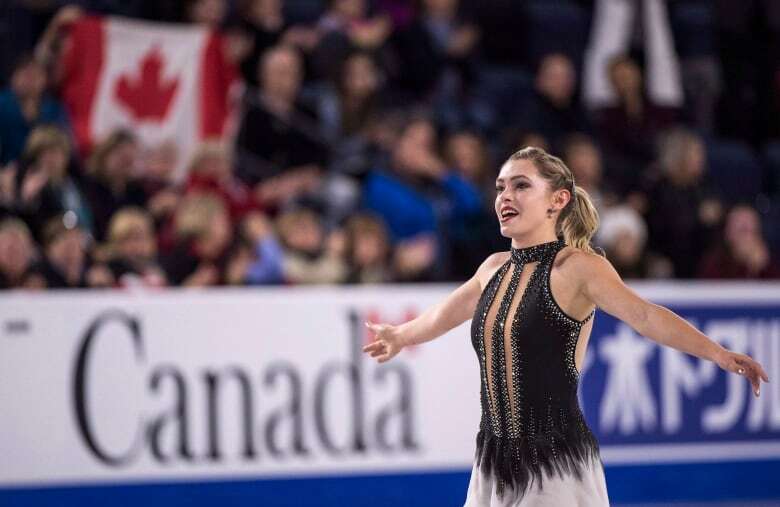 The Canadian champions across the board in all disciplines stepped up at nationals — either claiming or reclaiming their titles. Kirsten Moore-Towers and Michael Marinaro: My favourite highlight of the season so far is their silver medal at the recent Four Continents competition with the Canadian pairs champions finishing a scant .06 behind China's Wenjing Sui and Cong Han from China. The sky's the limit for this team. Nam Nguyen: The Canadian men's champion made a believer out of me with an outstanding free program at the national event, where he reclaimed the title he last held in 2015. Nguyen has the talent and the potential - a fifth place finish at worlds in 2015 tells me so. In Japan, Nguyen will need to deliver two back-to-back personal bests and there is nothing to say with his improved confidence this season that he won't do it. Alaine Chartrand: Finishing in fifth place in the short program just meant that Chartrand had something to aim for in the free. Not only did she hit her mark, she exceeded it and earned her second Canadian title in fine form. I am counting on Saitama to be the place where Chartrand makes peace with her international competition nerves. Success is within reach. Kaitlyn Weaver and Andrew Poje: The two-time Four Continents ice dance champions and three-time world medallists are now three-time Canadian gold medallists. They are as beautiful, lyrical and strong as ever despite having taken the fall of 2018 off to participate in the Thank You Canada tour. They have a strong chance to land somewhere on the podium again with the elusive gold medal their obvious goal. Keegan Messing: When he's good, he's very good. Messing could very well jump his way on to the podium and improve on his eighth-place finish at worlds a year ago. Piper Gilles and Paul Poirier: If you can only watch one thing during the world championships, then you need to set your PVR for the free portion of the dance event. Gilles and Poirier's "Starry, Starry Night," program is as good as anything I have ever seen on the ice. Ever. By any ice dance team. It is not to be missed.